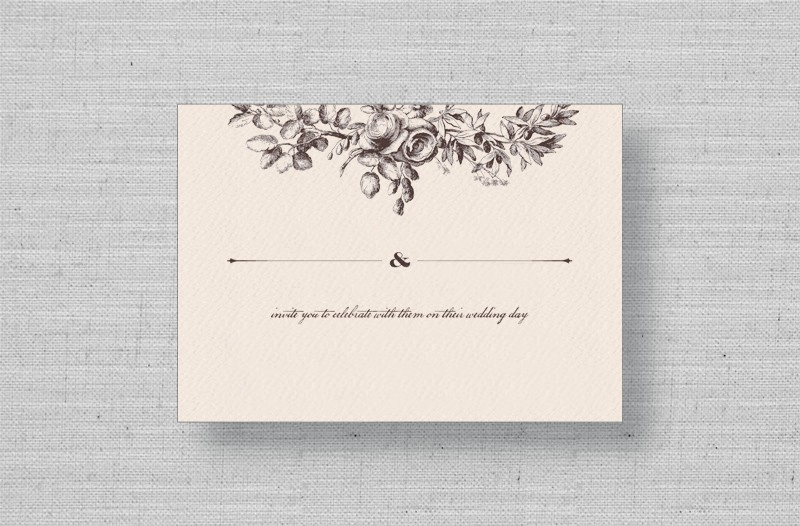 Companion response card to the Dapper Damask thermography wedding invitation, featuring vintage damask design. 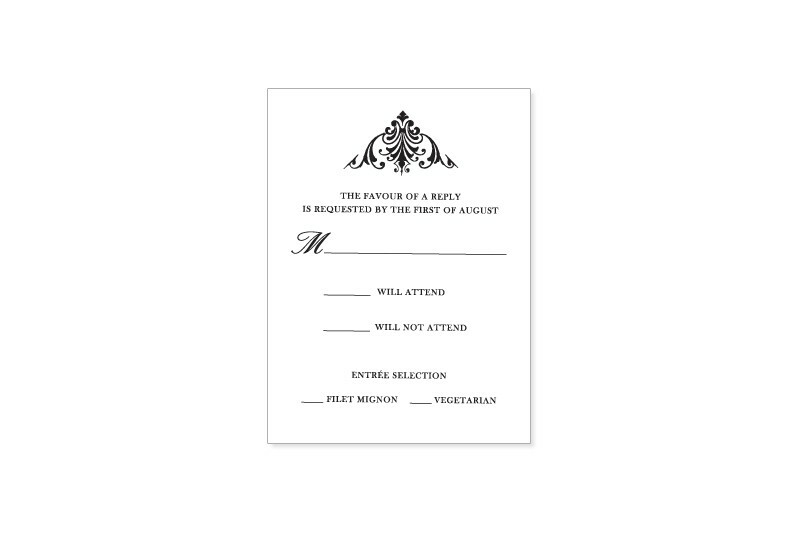 Also printed with raised-ink thermography on 118-lb natural white cardstock. Available in black, eggplant purple and teal.